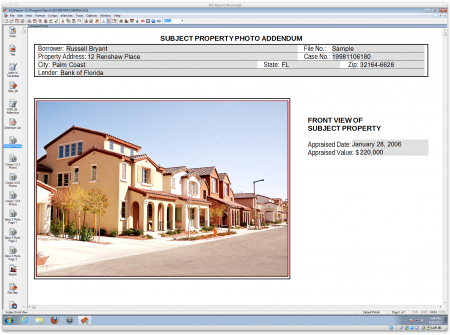 The complete real estate appraisal software solution with all the tools to run your business. The sketching software that lets you quickly draw a floor plan and automatically calculate the total square footage and perimeter distance of your subject. Compliance features help you easily transition to the new GSE requirements. 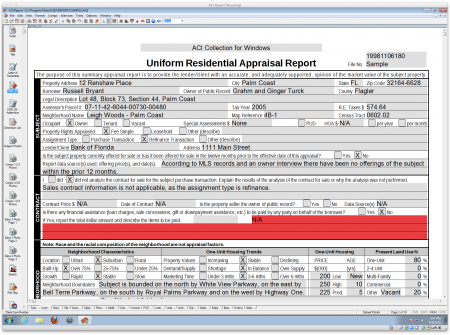 Producing UAD-compliant reports is a simple task with ACI Report. You will find adopting UAD responses into your workflow both intuitive and seamless. 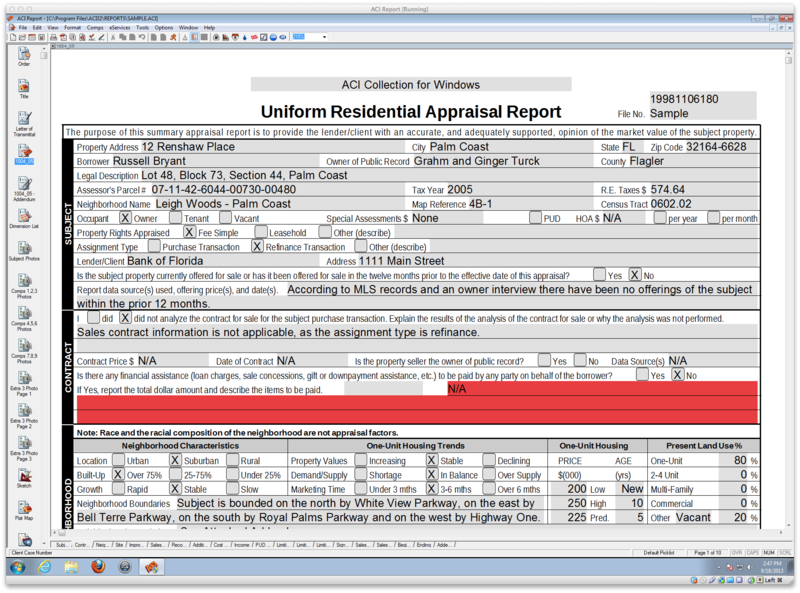 Appraisal delivery plug-ins embedded into ACI Report. 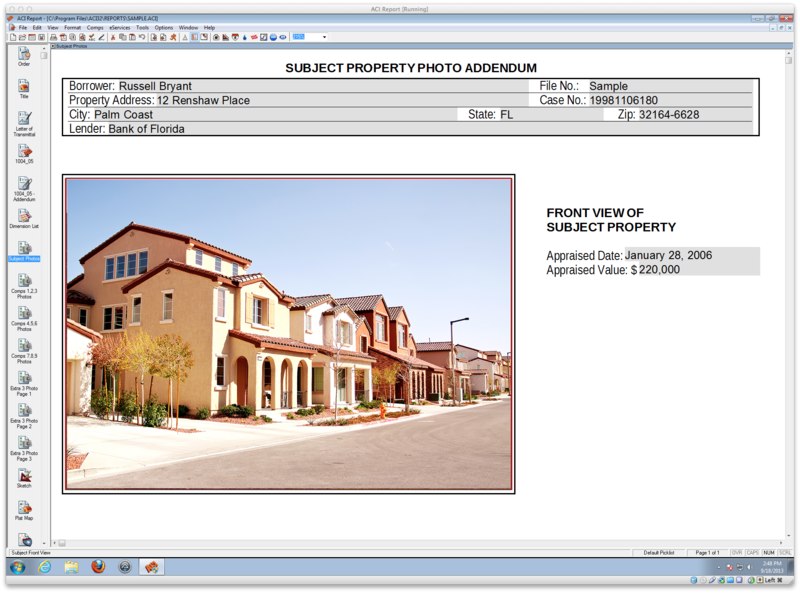 These services marry appraisal delivery to a multi-level rules engine which reduces exceptions using real-time alerts prior to appraiser sending the report file. Powered by Google Maps™, easily create aerial maps to use in your reports for better visual representation of properties. 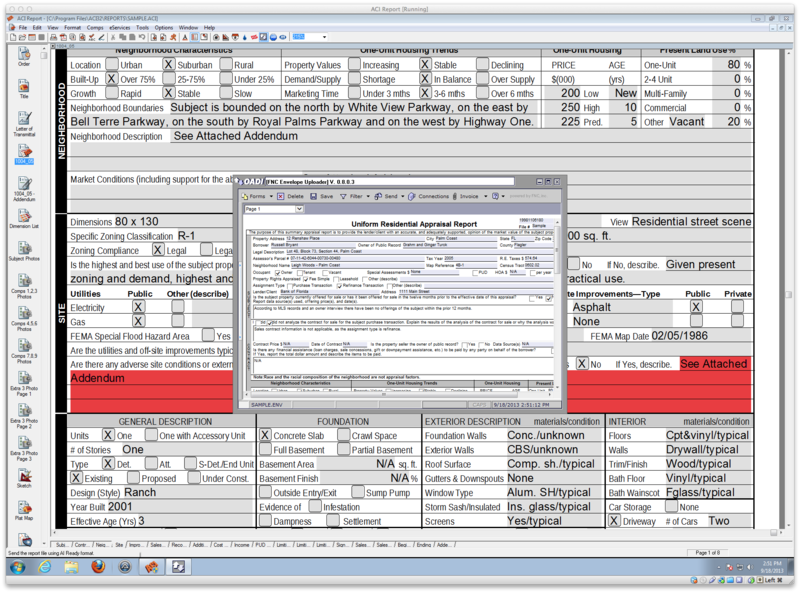 This tool is great for organizing and classifying data. Once the data is selected from your MLS provider, import directly to the 1004MC. Choice Credits are flexible pay-per-use digital currency you can use to purchase plug-ins including AppraiserBASE™, S.M.A.R.T., Sky Flood™, Market Conditions Addendum eService, PDF Import and more. Categories: Appraisal Software, Our Products. 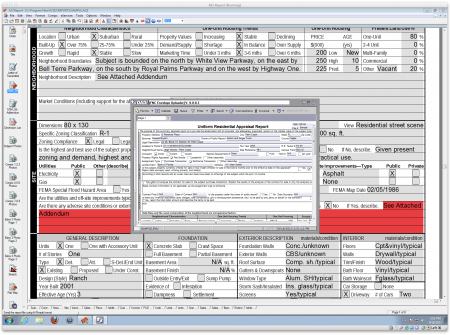 Tags: Appraisal, Inspection Forms, Real Estate Appraisal Software, Residential Appraisal Software, UAD, Uniform Appraisal Dataset.